We know you can't get enough when it comes to finding out about new shows, whether it's indie bands jamming at dive bars or Top 40 artists selling out venues nationwide. As your go-to source for all things live music-related, we know how vital it is that you (and your crew) stay up-to-date with both the emerging and established acts you love. 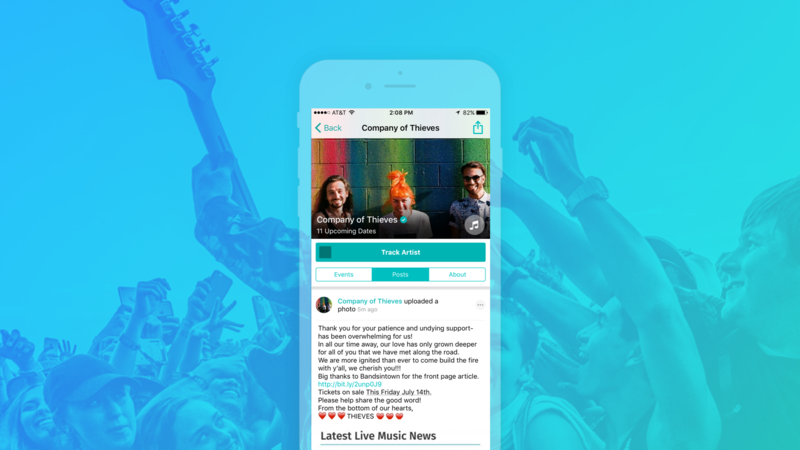 The latest version of the Bandsintown Concerts app makes it easier than ever for you to discover shows on-the-go, helping you find upcoming concerts based on your interests. 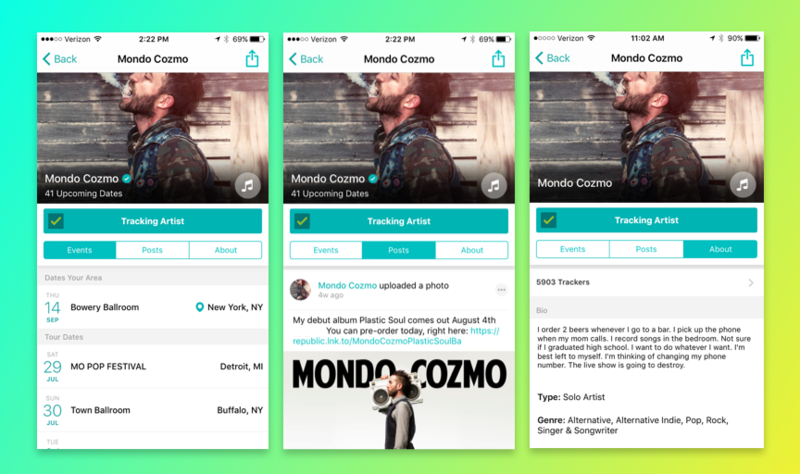 Fans can now search by artist, genre, location, and date, allowing you to zero in on exactly what you're looking for. We've also added new tiles that offer instant access to curated lists of can't-miss shows and festivals lineups (the season is upon us, people). What happens when you find a new act along the way and want to learn more about where they're from or what they sound like? Artist Pages now exist to shed light on everything you need to know about a musician from their tour dates to their genre. 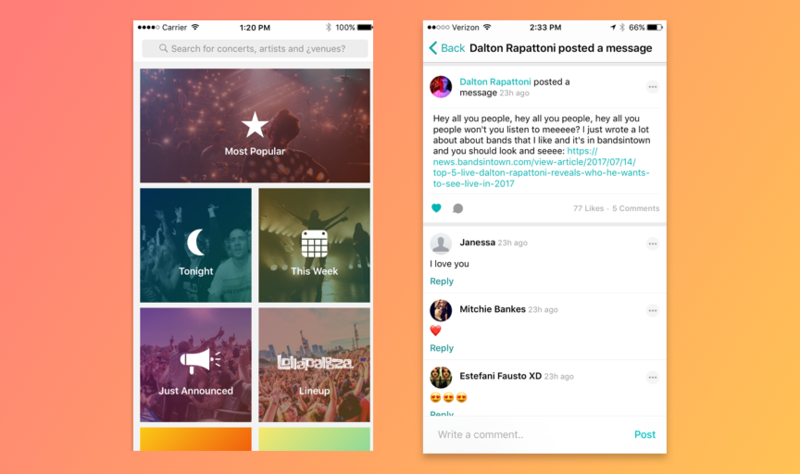 You'll also be able to view all the messages that artists have shared with their fans using the Post to Trackers feature, a tool which allows them to inform users of song premieres, show announcements, Tour Diaries, interviews and more. Knocking out your concert bucket list is easy as downloading the new version of our concert app, available today in the iTunes App Store and Google Play.